City tran­si­tions to private leaf col­lection by Modern Waste. The City of Hillsdale will save nearly $50,000 this spring as it tran­si­tions to private leaf col­lection by Modern Waste. Jake Hammel, Hillsdale’s director of public ser­vices, esti­mated the total cost of his leaf col­lection pro­cedure around $76,000, including labor, equipment, fuel, sup­plies, and raking. To save money, Modern Waste’s service requires res­i­dents to collect leaves and place them into biodegradable bags. 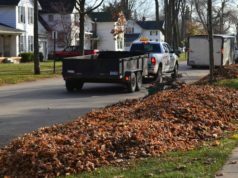 Pre­vi­ously, res­i­dents could blow or rake leaves to an area between the sidewalk and the curb, without using bags, for pickup by Hammel’s staff. According to Hammel, wind and rain often blew leaves into the street, clogging sewers and making it more dif­ficult for his staff to collect. 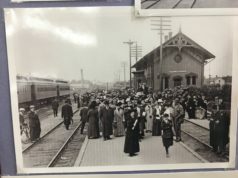 Since the announcement, res­i­dents have voiced their com­plaints to both Hammel and the city council. At the council’s March 18 meeting, res­ident Keith Myers spoke about the dif­fi­culty and cost of bagging leaves. Instead of a new col­lection pro­tocol, Myers sug­gested one pickup later in the fall instead of two in order to save money. However, Hammel said his staff needs all the time they can get for fall leaf pickup. In the spring and fall, Hammel retools existing snow plow trucks for leaf col­lection, which means he needs to convert them back once it begins to snow. The council also directed the Public Ser­vices Com­mission to explore expanding permits to res­i­dents wishing to “barrel burn” their leaves. 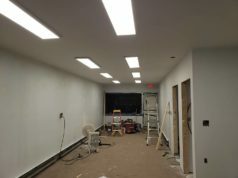 At the council’s April 1 meeting, Coun­cilman Bill Zeiser said the com­mission con­cluded this solution could cause more uncon­trolled fires and present issues for res­i­dents with prior health con­di­tions. Hammel said he strongly encourages res­i­dents to compost their leaves, which can provide good nutrients for soil. Ulti­mately, he focused on the pos­itive aspect of the change. 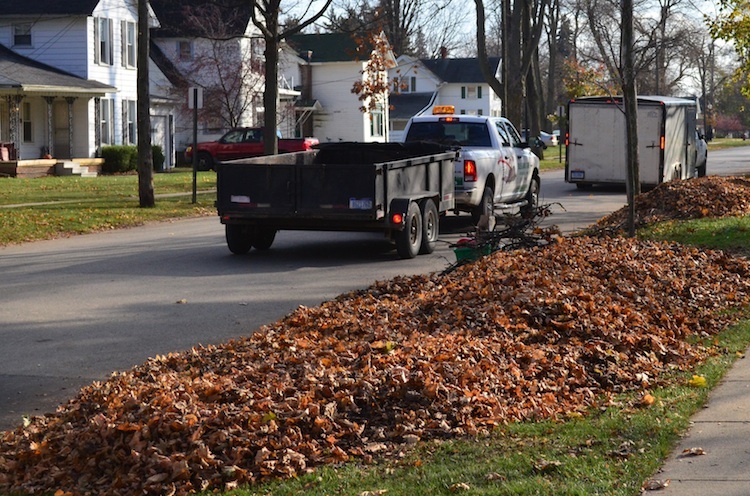 Addi­tionally, res­i­dents can no longer drop off leaves and grass to the city’s compost site. Hammel said he believes new state reg­u­la­tions con­trolling for organic material in runoff would dras­ti­cally increase oper­ating costs at the site. Hammel and his staff will con­tinue to do brush col­lection like normal. Res­i­dents should leave brush in the same area between the sidewalk and curb. Modern Waste will pick up res­i­dents’ leaf bags on April 20. Hammel and his staff will collect brush on or before April 16. Hammel encouraged res­i­dents to make sure their leaves weren’t on the curb for a long time in case of a rain­storm. you can’t com­plain about the streets all year and then com­plain again when someone submits a plan to direct more $ toward street repair.